1. Biblical Foundation. We study and teach God’s written word, acknowledging its authority and celebrating the story of the revelation of God, inspired by Him and written by His people, so that all might come to know the Living Word, Jesus Christ. 2. Prayer. We are committed to pray faithfully, both individually and as a church, seeking God’s will. 3. Worship. We are welcoming and inclusive of all people in worship that exalts God with awe and wonder, celebrates Christ with joyful song and thanksgiving, and submits to the Holy Spirit in reverence and humility. 4. Stewardship. We are dedicated to the stewardship of our lives and resources, recognizing our spiritual gifts, and offering them sacrificially and joyfully to God through service to His church. 5. Missions. We share the love of Christ and offer His redeeming grace by meeting the spiritual, emotional, and physical needs of our community and the world. 6. Community. We embrace the diversity of our congregation and are committed to develop unity and common purpose, enabling all to participate, to serve, and to lead. 7. Freedom. We believe in the Priesthood of All Believers, affirming the freedom and responsibility to relate to God in our own personal way, as we are led by the Holy Spirit. FBCSSI seeks to develop a ministry life based around encouraging these core values in its members and those with whom the church comes in contact. Our hope is that by offering a range of ministries to serve the development of not only our members, but also the greater community we can show the love of God and encourage the spiritual, emotional, and personal development of every life FBCSSI touches. Faith Voyage is the preschool ministry of FBCSSI that serves as a Sunday morning and Wednesday night preschool environment for bed babies through pre-kindergarten. To learn more about the preschool ministry at FBCSSI, Click Here. The Children’s Ministry of FBCSSI is committed to partnering with you, the family, to help your children discover the bright future that is theirs through Jesus. We seek to provide the kind of love, acceptance, example, and teaching that will help your family be all that God calls you to be. 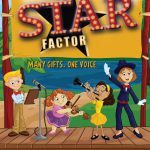 To learn more about the Children’s Ministry at FBCSSI, Click Here. The Mission of the Family and Discipleship Ministry is to equip families and individuals to be a relevant force by sharing the grace of our Lord Jesus Christ as we go in the world. To learn more about the Family and Discipleship Ministry at FBCSSI, Click Here. 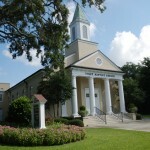 The Music Ministry at First Baptist Saint Simons Island seeks to provide musical experiences and worship to people of all ages. Our Sunday Services offer two worship services. The 8:30 worship is our traditional worship consisting of hymns from the Celebrating Grace Hymnal accompanied by piano and organ. For more information on the Music Ministry, Click Here. Missions at First Baptist Church Saint Simons Islands encompass a wide range of opportunities for involvement. Every one of our members has a gift to share, so we use our time, talents, and resources to be the light in dark places. Serving together, we experience the joy of seeing what God can accomplish through us when we listen to His call. For more info of FBCSSI missions, Click Here. For a list of our Sunday School Opportunities, Click Here. The mission of the Keenagers is to exist to introduce people to Jesus Christ and to help them grow in their faith by getting together with Senior Adults on a regular basis to share Christ in a variety of ways and have fellowship with others of our age group. For more information on Keenagers, Click Here. Our Wednesday night programs offer relevant engaging Bible studies taught by authentic talented leaders. I cannot wait to see what God has in store for us in 2013-2014. For information regarding our upcoming Wednesday night lineup please Click Here. If you have any questions, please email me at rebekah@fbcssi.org.